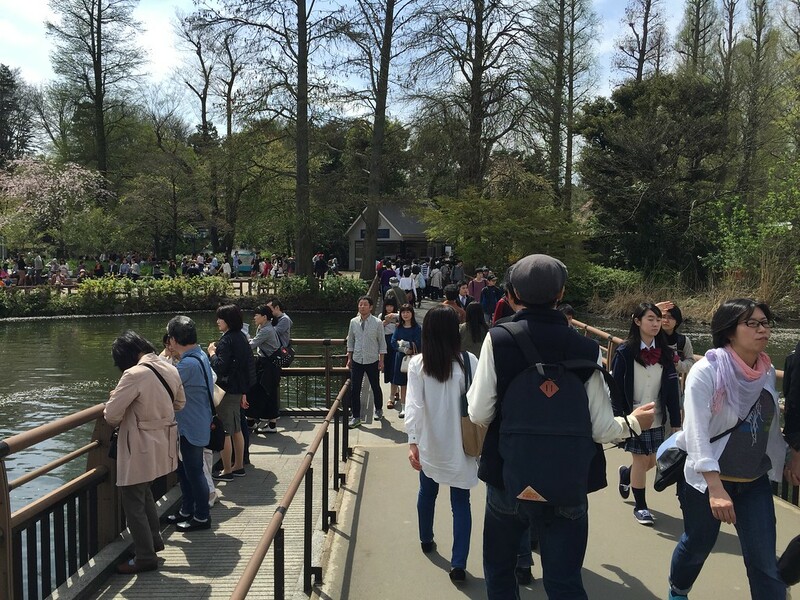 A short trip west of Shinjuku, Inokashira-koen Park is popular with locals and travelers alike, especially those with children. In addition to the standard park fare, there is also a zoo, a museum, a shrine, and several food shacks to power you through the day, as Mario Leto explains in this family-friendly adventure. 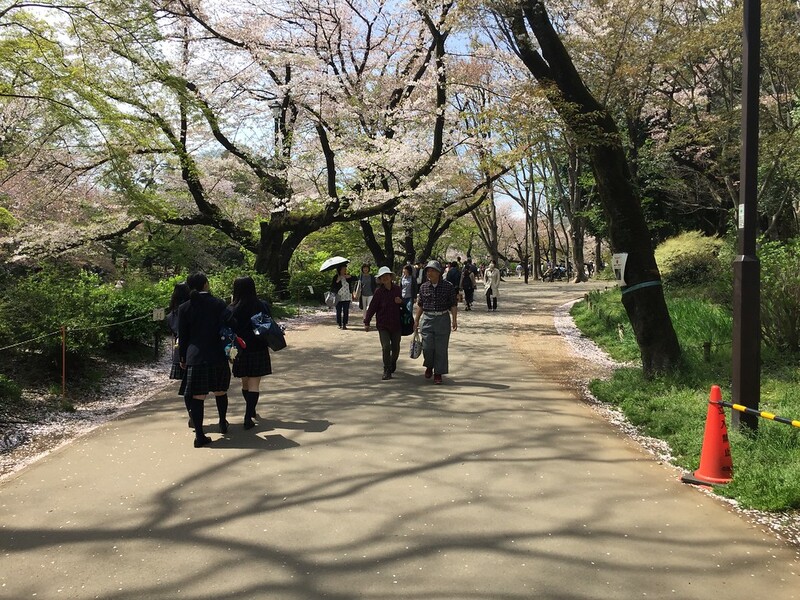 The park covers approximately 385,000 square meters—the equivalent of almost 54 football pitches—and was first opened on May 1, 1917 as a gift from the emperor to the people of Tokyo, a first of its kind. This fact is reflected in the park’s official name: Inokashira Onshi Koen (井の頭恩賜公園), which translates to Inokashira Imperial Grant Park. Obviously, nobody can be bothered by that lengthy title and so the “Imperial Grant” portion is routinely omitted. 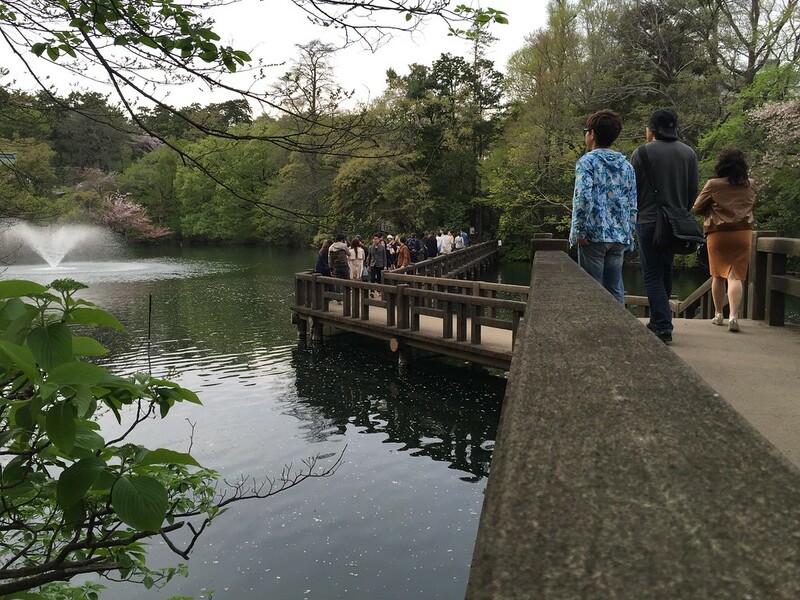 Two more historical boasts include 1) Inokashira Pond, the centerpiece of the park, was the original water source for the city of Edo—the former name of Tokyo—and 2) the accompanying underground spring—ocha-no-mizu—supplied water for the tea ceremonies of Tokugawa Ieyasu and his shogun entourage. 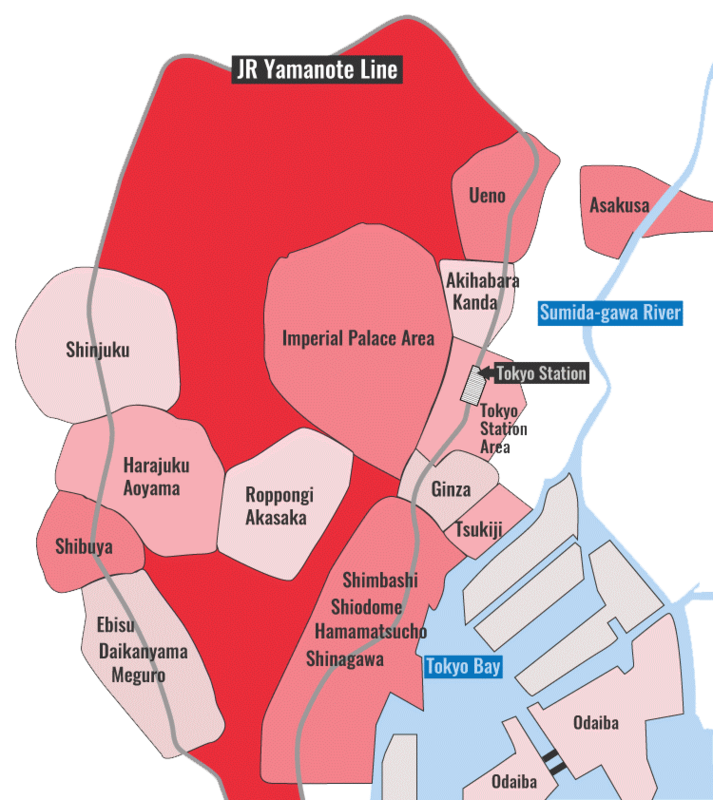 As with many Tokyo attractions, there is more than one point of access. If you’re coming from southern metropolitan Tokyo, take the Inokashira train line from Shibuya to the final station, Inokashira-koen Station (29 minutes, Y200 from Shibuya Station). If you’re traveling from northern or central Tokyo, take the Chuo train line to Kichijoji Station (26 minutes, Y390 from Tokyo Station). 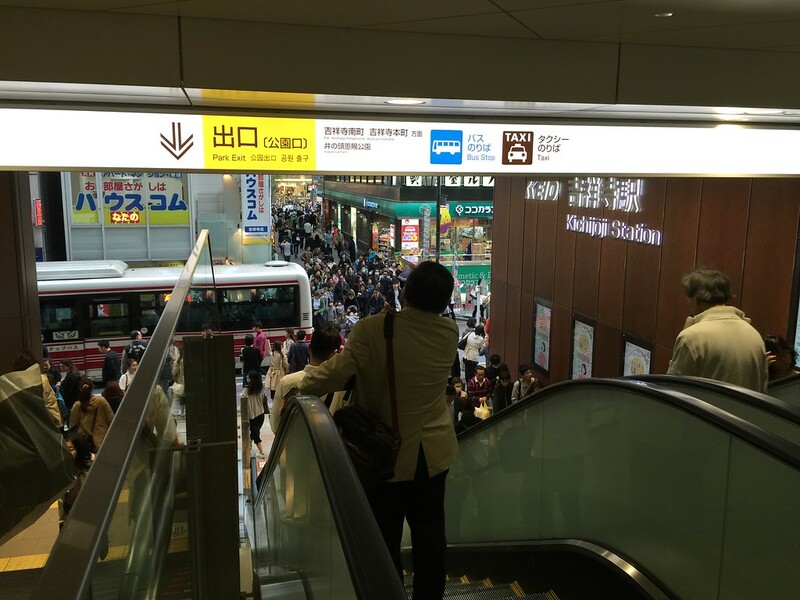 In my case, I started from Kichijoji Station. I exited the station via the conveniently named Park Exit. The city of Kichijoji itself is worth a visit with its youthful, vibrant atmosphere and labyrinth of local shops, cafes, and drinking establishments. Even if you don’t spend time in the city, your walk to the park will give you a flavor of what awaits in the future should you decide to go back. Leaving the station, take the escalator down to ground level at the Park Exit and then follow the crowds. If there were no buildings blocking your way, you could walk a straight line from the escalator to the park. As things stand, you’ll have to jog left or right for the first couple blocks before hitting stride down the home stretch of a shop-lined street that ends at a north-side park entrance. Entering the northern side of the park, the bulk of Inokashira Pond will lay directly ahead, offering three options for circumnavigation: the route to the left, the route to the right, and a figure-eight route beginning across Nanai Bridge which dissects the pond. On my own day at the park, a day that coincided with cherry blossom season, I immediately crossed Nanai Bridge and turned left to find a place on the other side of the pond to throw down a tarp under the cherry trees for a lunchtime picnic under a sprinkling of white cherry-blossom petals. The tradition of viewing cherry blossoms—hanami in Japanese, literally meaning “flower look”—is over a millennium old and included a much larger range of floral display back in the day. Today’s modern tradition of hanami is mostly limited to cherry blossoms and, less so, plum blossoms, which bloom slightly earlier. 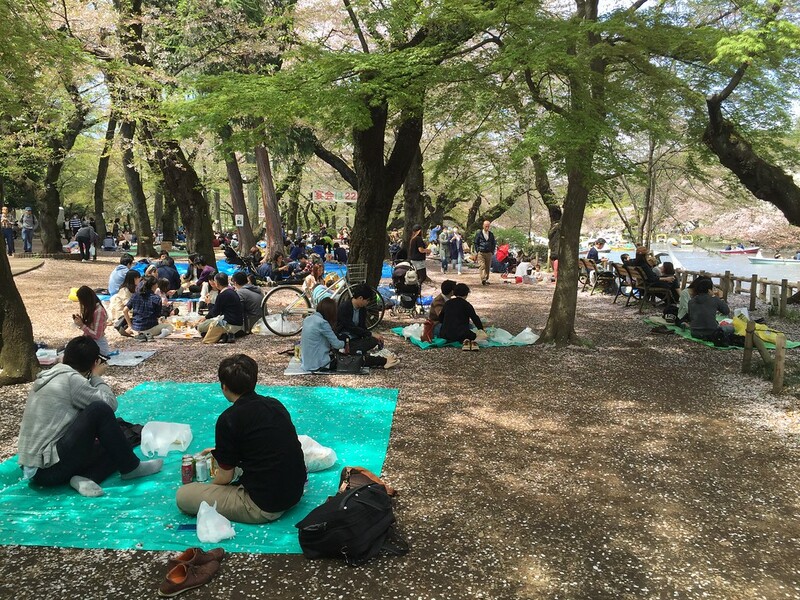 If you have yet to reach middle age, then hanami for you most likely means lots of food, even more drink, and unbridled revelry on a blue tarp beneath the blooming cherry trees. (See our guide to cherry blossom season in Tokyo for more info). If you make it to the other side of the pond, the south side, and are in need of a refreshment, I recommend Blue Sky Coffee. It sits up a small incline on the perimeter of the park and sells any number of beverages, including beer, wine, coffee, latte, and non-caffeinated sober-minded alternatives. For the linguistically challenged, there is a small sign in English at park-path level that announces “TAKE OUT COFFEE”. By now you should have noticed the boat pier near Nanai Bridge and the swarms of swan boats dotting the surface of the pond. 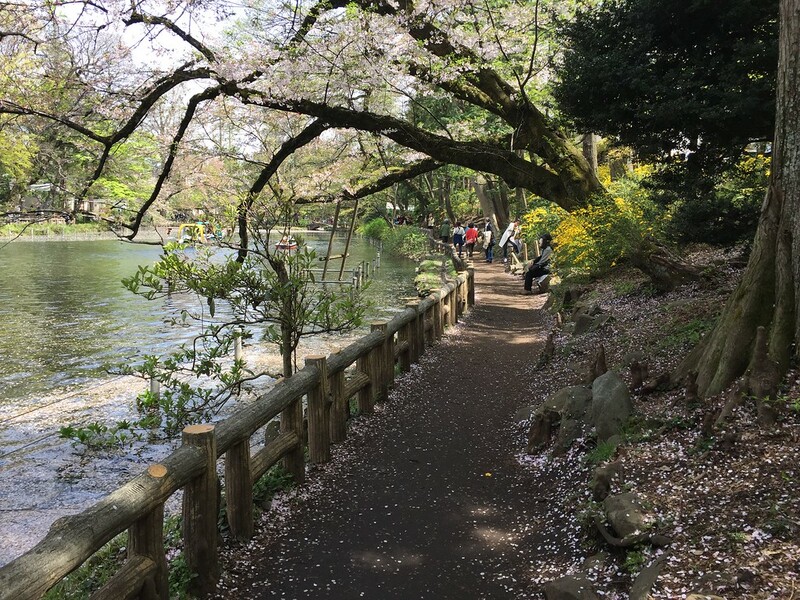 This is standard fare for Japanese parks, especially during hanami season when a boat on the water can offer the best views of the cherry blossoms. Why swans, you ask? Good question. And it seems that in Japan, as far as I can tell, there is no definitive answer. The best I can offer is a story from 1870s Boston in the United States: Man likes rowboats; man wants new boats; man makes catamaran with bicycle pedals; man shapes boat like swan. More interesting is the reason he chose a swan: Man likes the opera Lohengrin by Wagner in which a knight of the holy grail, Lohengrin, crosses a river in a boat pulled by a swan to defend an unjustly accused maiden and take her hand in marriage. 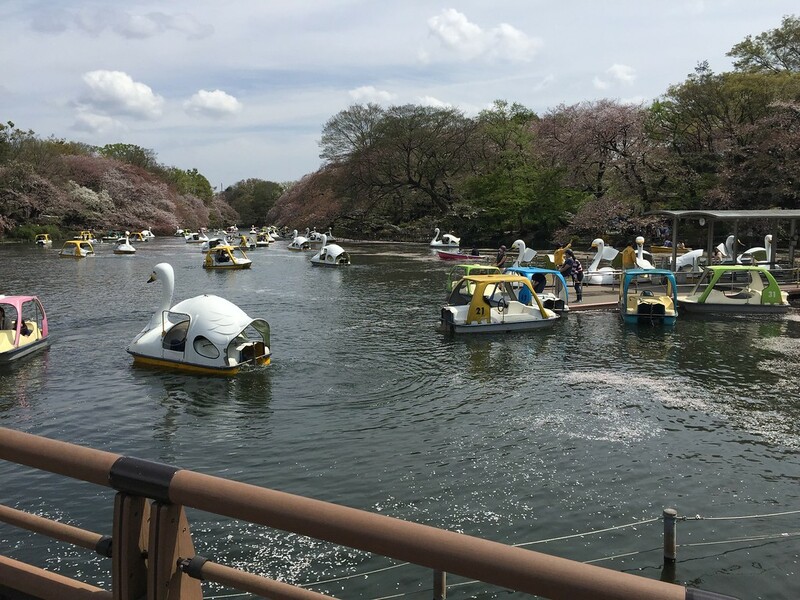 Funnily enough, just as Lohengrin’s romantic quest ends in tragedy, legend has it that couples who ride a swan boat together on Inokashira pond are also doomed romantically. The culprit this time, though, is none other than one of the Seven Gods of Good Fortune, Benzaiten. 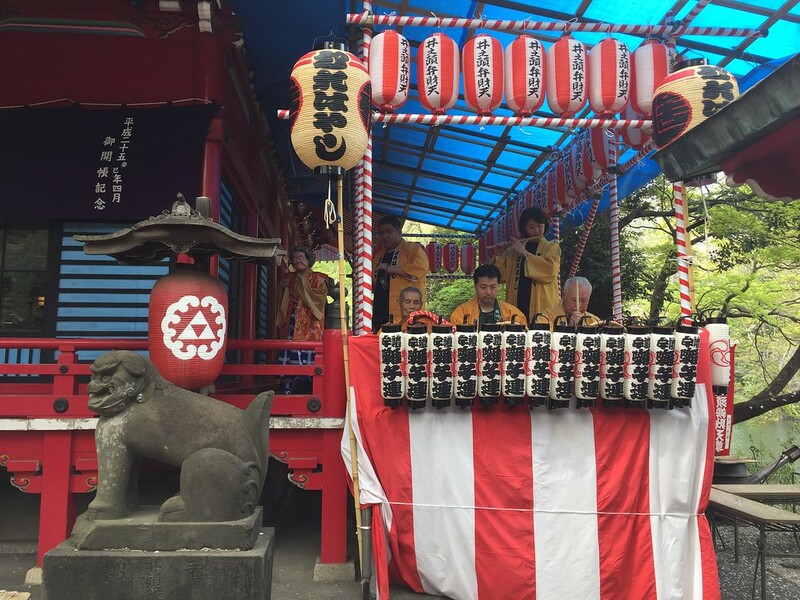 If you have read my other blog post about the Yanaka area of Tokyo, you will recall a section on the Seven Gods of Good Fortune, including Benzaiten, traditionally the god of waterways but more commonly known as the god of luck, love, education, and the arts. In fact, Benzaiten is the only female god of the seven, and it is her jealously that seals the fate of all lovers who ride on the pond she presides over. How influential is this curse? Well...not very. A quick survey of the boat passengers indicates that nobody seems to care much. Benzaiten Shrine, located at the northwest corner of the pond and home to the jealous god Benzaiten, is rather quaint and worth a visit, especially if a small group of elderly people are playing traditional music on the shrine balcony while other elderly people with masks on dance around them, as happened on the day that I was visiting. 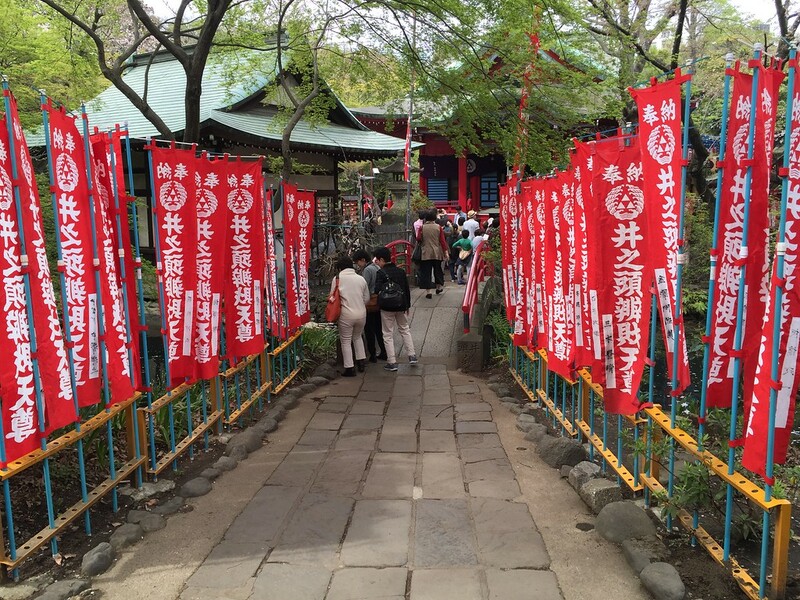 The shrine supposedly dates back to 1197 but has been rebuilt at least once due to a fire. It is here that you will find a grinding stone used by Tokugawa Ieyasu to make tea. Check out the link above for the official Benzaiten English-language website and a satisfying amount of information regarding the history of the shrine and the development of the god Benzaiten. 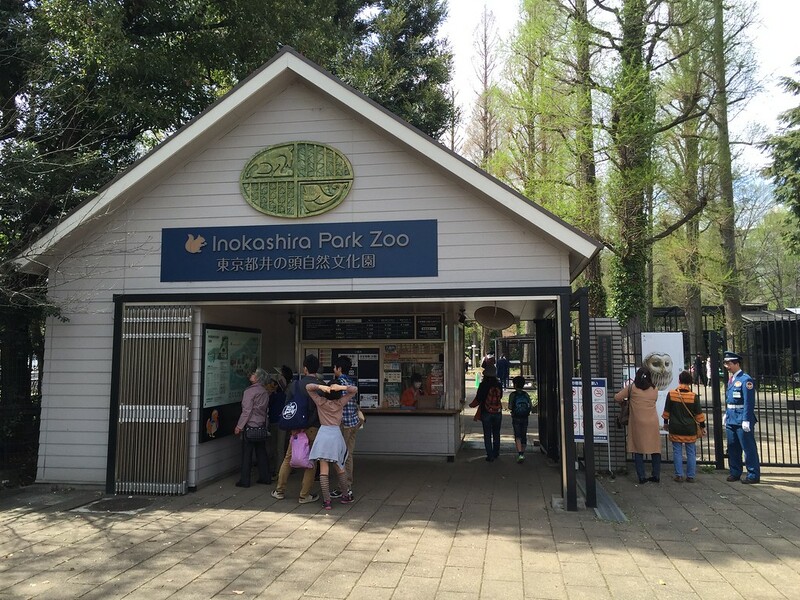 After circling the pond and taking in the sights of cherry trees, angry goddesses, and doomed lovers, you may wish to check out the Inokashira Park Zoo, one entrance of which is located near the south-west end of Nanai Bridge. While I am not a fan of caging sentient beings, I do recognize the role zoos play in educating young children, and so it was that I found myself strolling through the zoo grounds with two young kids in tow, pointing out the wonders of the natural world while attempting to subtly impress upon my kids the need for a little more compassion regarding our furry, feathery, and leathery cohabitants. And scaly. Let’s not forget the scaly fish. 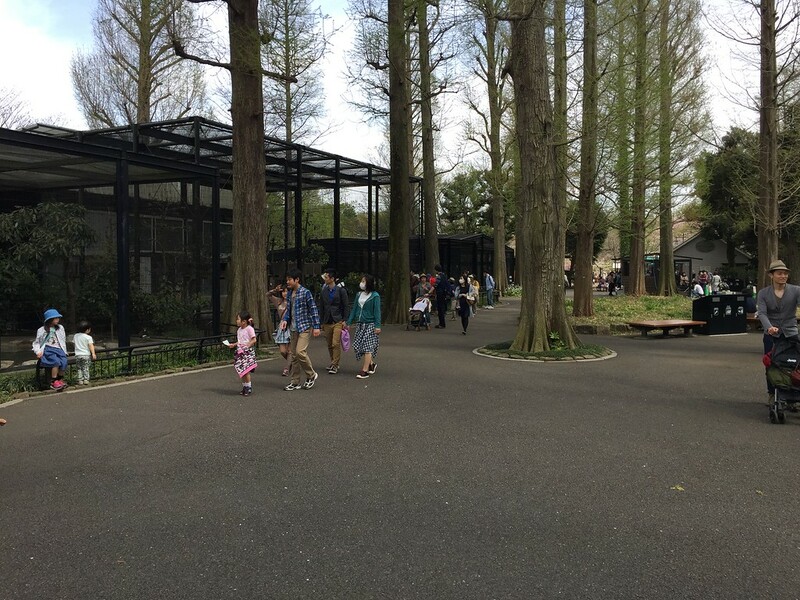 All things considered, the zoo is cheap—free for kids under 12 and only ￥400 for adults—and offers a less crowded place to eat lunch and/or enjoy a quiet stroll. I might also mention that it is broken into two parts—you have to exit one section and walk to the other and re-enter—but one ticket will give you access to both sections all day long. Check out the website above for free-entrance days and zoo hours. 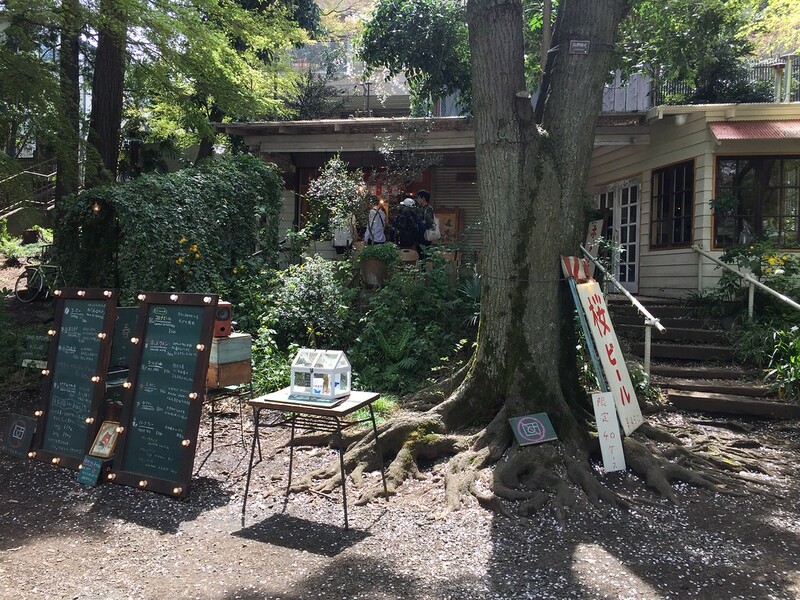 After rounding the pond, visiting a shrine, and completing the first half of the zoo, my kids and I were whiny and hungry and so took a load off at a small mom-n-pop shop in the middle of the park between the zoo and Benzaiten Shrine. There is no prominent name displayed outside, but you can’t miss it. There are tables out front and a small platoon of septuagenarians moving back and forth between. 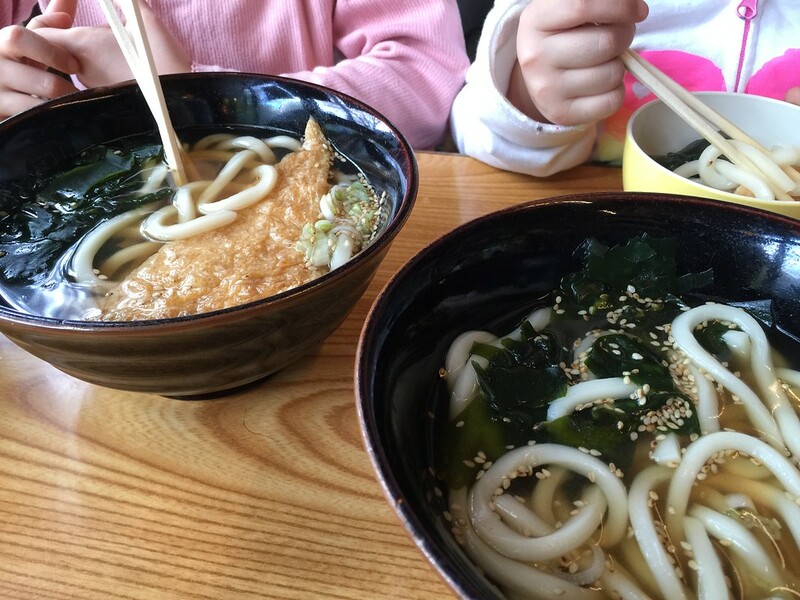 I had soba noodles (so-so), my kids had udon noodles (all udon is great according to kids), and the rest of the clientele seemed to be ordering and enjoying the curry and rice. I later noticed a sign outside touting the glory of the curry and rice and at that moment realized my folly. I also had a beer and ordered some sweets for my kids and overall everyone was happy and refreshed. Mom-n-pop shops like that in Japan are more about sitting down and ordering some refreshments than they are about eating a five-star Michelin meal and so should be viewed as such and not scrutinized too much. At the end of the day, the waitresses were nice, the building was quaint, and we were sitting in the middle of a park in mid-spring. What more could we ask for? 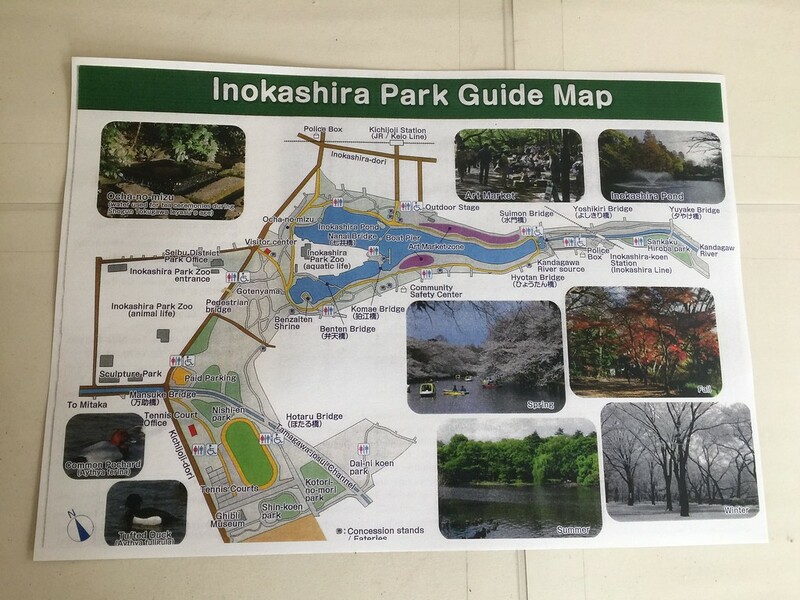 As you can see from the park map above, Inokashira-koen is shaped like a boomerang. The right wing of the boomerang contains the pond, Benzaiten Shrine, and the smaller portion of the zoo. 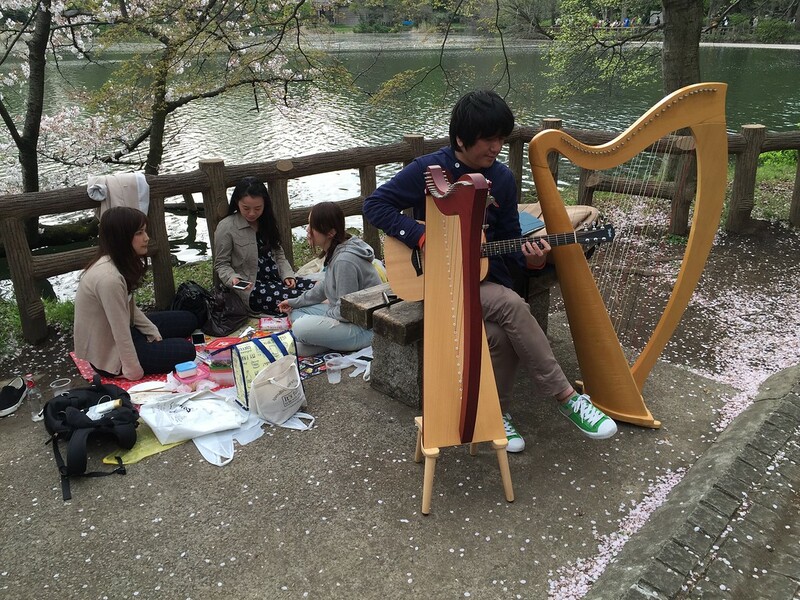 This is where most people come to play, including hanami revelers. 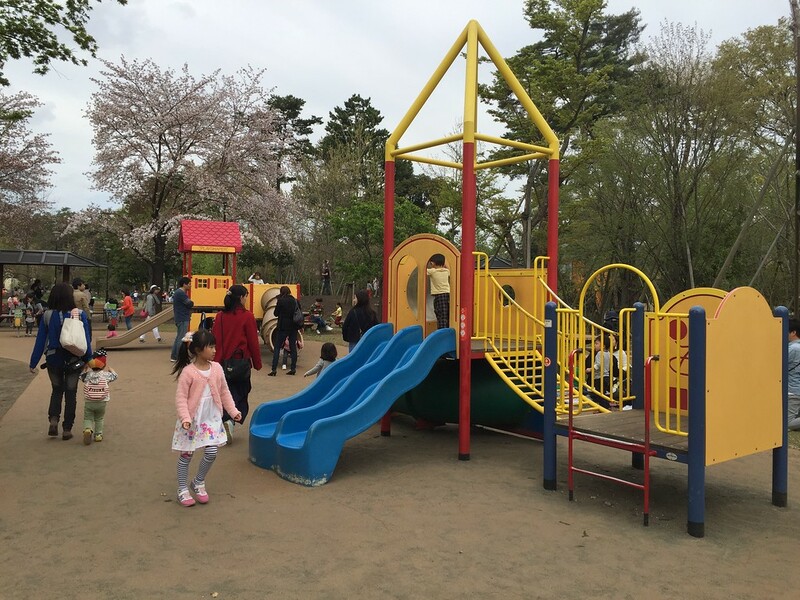 The left wing, while further from Kichijoji station and further yet from Inokashira Park Station, has more traditional park space, including a sports field, tennis courts, and playground. 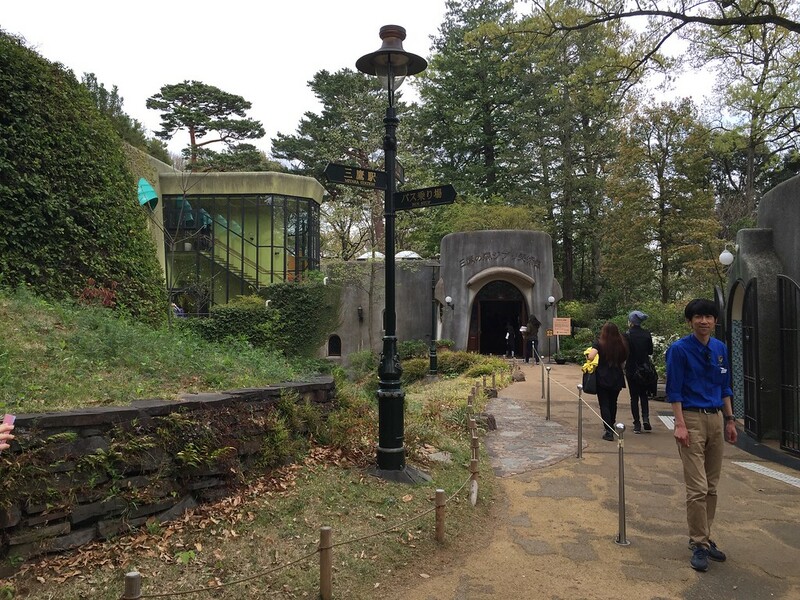 It also contains the larger half of the zoo and the Ghibli Museum. If you don’t know the name Ghibli (pronounced jee-boo-lee), then you must be from another planet. Welcome to planet Earth. Ghibli is the name of the film studio that makes Japan’s most famous, most successful, and most beloved animation: My Neighbor Totoro, Spirited Away, and Howl’s Moving Castle, to name but a few of the many. There are no children in Japan who do not know these films, and fewer and fewer abroad who have not viewed and enjoyed them as well. Studio Ghibli was co-founded in 1985 by Isao Takahata, Toshio Suzuki, and the more well-known Hayao Miyazaki. The name itself comes from the Italian word of the same spelling that means “Mediterranean wind” and was chosen for the metaphorical significance of breathing (wind) new life into the animation industry. 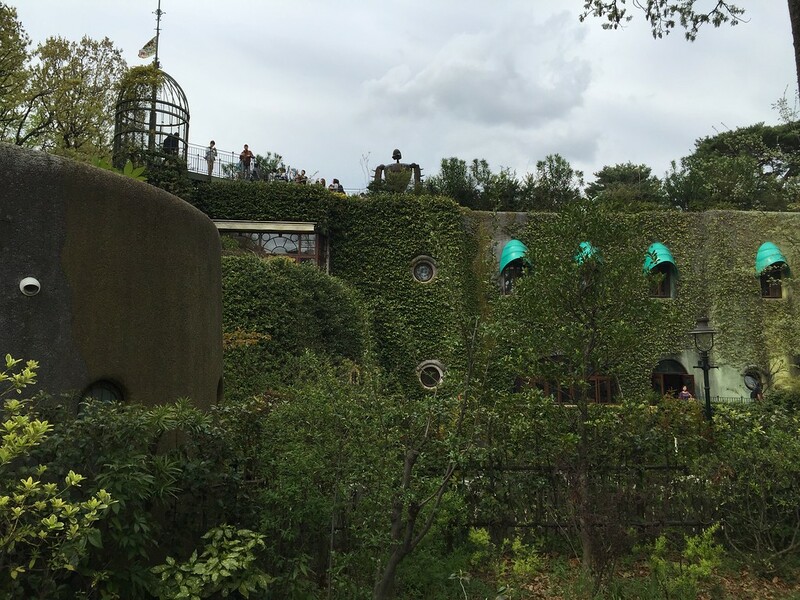 The Ghibli Museum is an extension of the studio which opened in 2001 and takes a bit of planning to gain entrance. Gaining access to the museum requires purchasing tickets prior to your day of arrival. This is not a spot-saving measure that can be ignored in the hopes of a low turn-out on the day you plan to visit. No advance purchase means no entrance, regardless of the number of people who actually visit on that day. At any rate, the museum is sure to always be full to capacity. It’s one of the most famous animation studios in the world and admission is strictly controlled. Tickets can be bought from travel agencies in select countries, as well as through Lawson convenience stores in Japan. One final note: The museum will be closed from May 9 to July 15, 2016, for maintenance and renovations. Check the website above for more details on ticket purchase, hours, and special exhibitions. 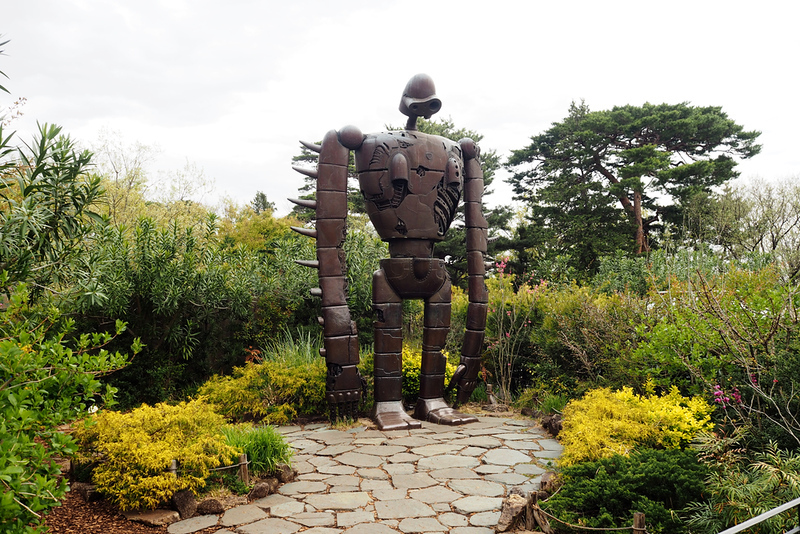 Just past the Ghibli museum, at the furthest south-west point of the park, are a couple of playgrounds with jungle gyms and other child-exhausting mechanisms to ensure a good night’s sleep. 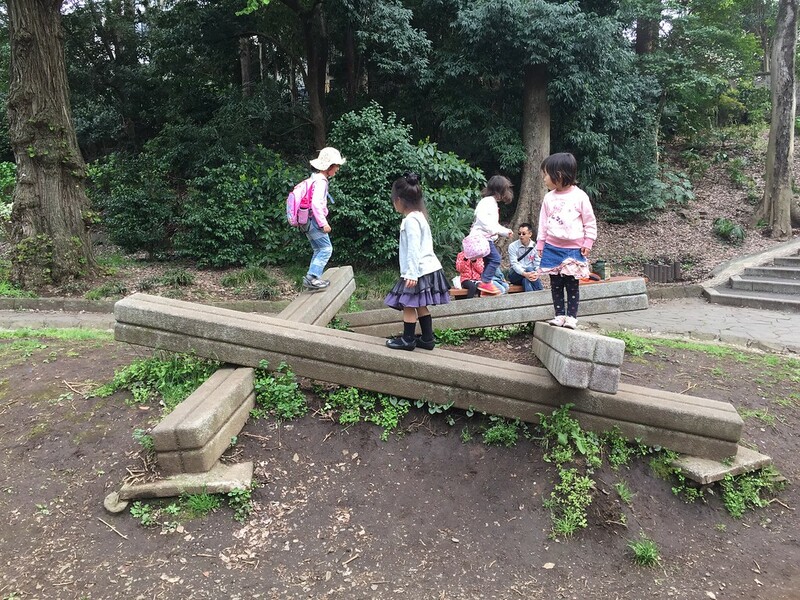 As you may have already surmised, Inokashira Park is a great place for children: picnics, boats, zoos, animation museums, playgrounds, and lots of open space to run wild. The worst part about the playgrounds, though, is that once there, you have reached the end of the park and the only thing to look forward to is a long slog back toward the station. If you visit on a weekend, though, you might just be granted the reprieve of buskers on the hunt for a bit of extra spending cash. Buskers are public performers looking for cash donations from entertained onlookers. They are traditionally musicians but sometimes include other street performers like jugglers or mimes. Mimes? Yes, mimes. 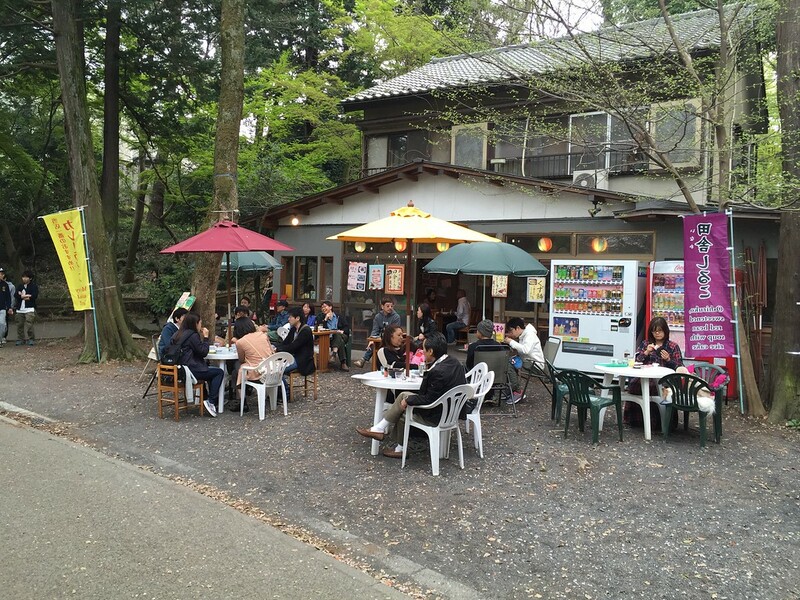 Inokashira Park is well-known for its busker environment and so adds a bit more entertainment value to a place already steeped in weekend entertainment. In addition to that, 2017 will mark the 100th anniversary of the park opening, guaranteeing even more events “that will allow more people to enjoy the park to its fullest.” That previous quote comes from backside of the Inokashira Park Guide Map put out by the Tokyo Metropolitan Government and shown in one of the photos above, and that guide map can be had for free from the Inokashira Park Visitor Center near the northwest corner of the pond, not far from the zoo’s aquatic life section. 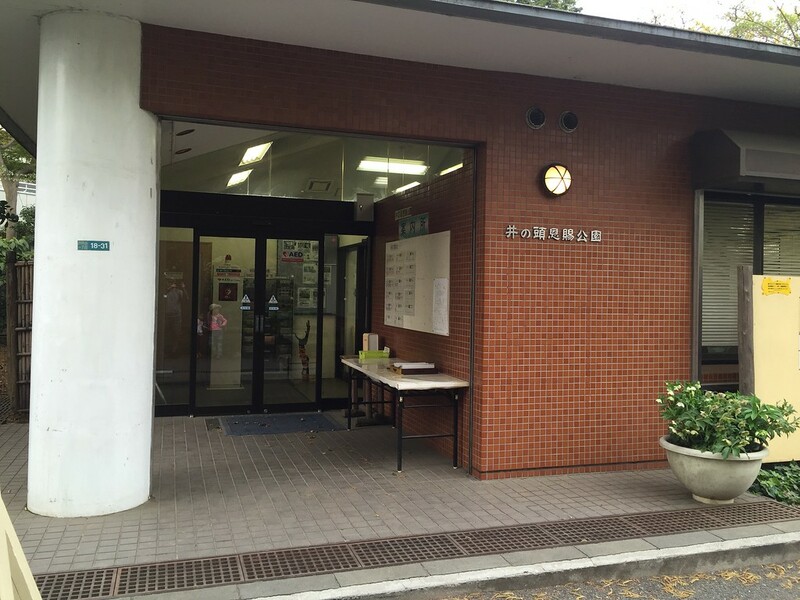 The Tourist Information Center is a small nondescript red-brick building between the two sections of the zoo, directly off the main road Kichijoji-dori. 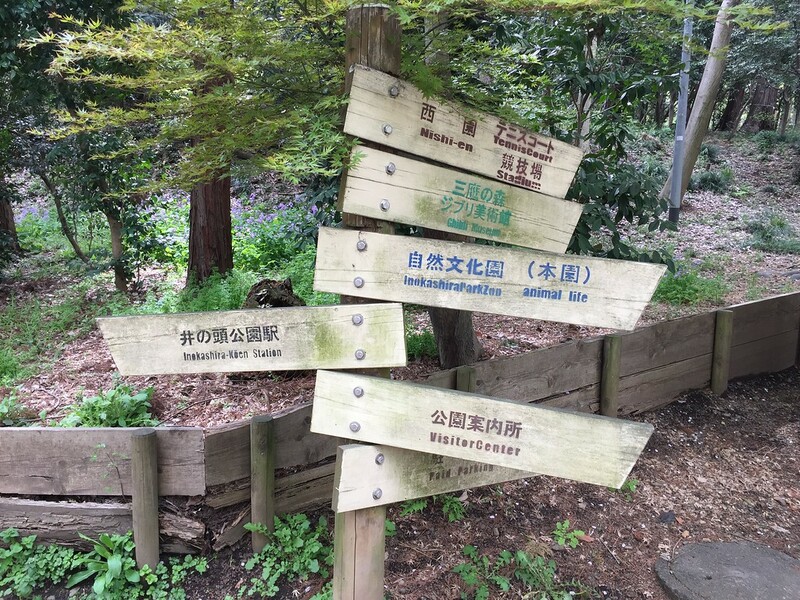 It is unfortunately a bit poorly placed for visitors entering the park, but there are enough giant maps and direction signs to maneuver comfortably before a visit. I recommend dropping by after circling the pond and taking in the general park atmosphere. 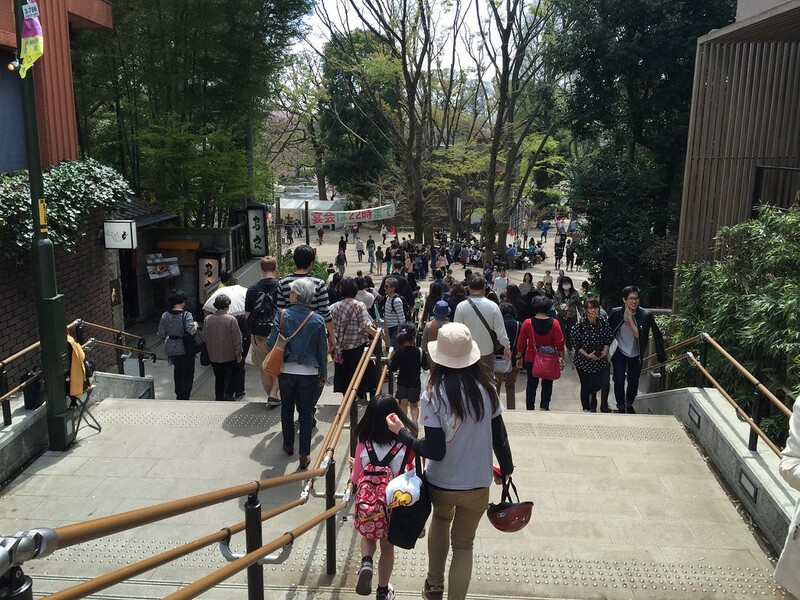 Once at the visitor center, making your way to the zoo or to Benzaiten Shrine is rather easy. In addition to the map, staff is usually present to answer any questions, although I can’t vouch for their language abilities. If you have the time and the energy after doing all the previously mentioned activities, there are still a few small points of attraction that you can incorporate into your day, like Benten Bridge, which gives a lovely view of the backside of Benzaiten Shrine and a more overgrown part of the pond, and the underground spring that supplied the water for the tea of Tokugawa Ieyasu. There are also easily overlooked attractions that are stunning in their simplicity and bogglingly attractive to children, like the four concrete pillars laid flat end to end in an Escher-esque square for kids to endlessly walk along in dizzying circles. And If you go on the weekend or holidays, be sure to visit the art market on both the north and south sides of the pond. This last event is part of the 100th anniversary activities leading up to 2017. 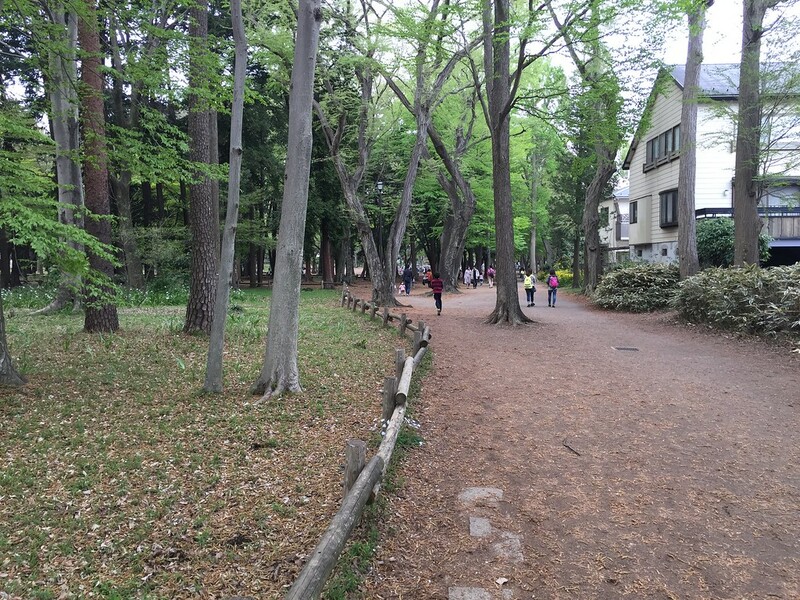 As parting words, I must say that Inokashira Park is one of the lovelier parks in the Tokyo metropolitan area. Perhaps that’s because of fond hanami memories of unbridled youth. Or perhaps because of long, romantic strolls with love interests (that never worked out...Benzaiten!!). Whatever the reason, the park is a full package with something for everyone and even more if you have the time and inclination to leave the park and browse the local shops in the area. It’s busy but relaxed, crowded but secluded, lively but peaceful, educational but lighthearted. It’s a side of Tokyo you will see in few other places.